Crystal Healing is a complementary therapy in which the practitioner uses the energy of crystals and gemstones to promote healing, and to help access higher levels of consciousness. This treatment uses a variety of high quality crystals and gemstones to balance and align your energy field, and raise your spiritual vibration. A crystal grid will be placed around your treatment table, and select crystals and stones will be place on and around your body, creating a profoundly relaxing and healing experience. When your energy field is in alignment, your life will function more in tune with nature and spirit. 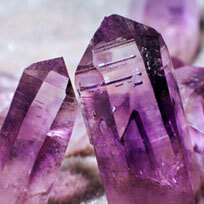 To schedule a Crystal Healing session, click on the practitioner’s name for contact information or call 315-373-0626.